A Detroit-area developer plans a $72 million downtown redevelopment project that will include 293 luxury apartments plus a restaurant on the site where the Hereford House burned to the ground eight years ago. City Club Apartments LLC of Farmington Hills, Mich., plans to develop a site that includes everything between 19th, 20th, Walnut and Main streets, except for the two buildings at the northwest corner of the block that house The Gown Gallery and Affäre. Gib Kerr, a broker with Cushman & Wakefield, said he helped assemble the site for Wit Solberg, founding partner of Mission Peak Capital. Solberg said Tuesday that he has entered into a partnership agreement with City Club Apartments and plans to have part ownership in the streetscape-changing redevelopment project. 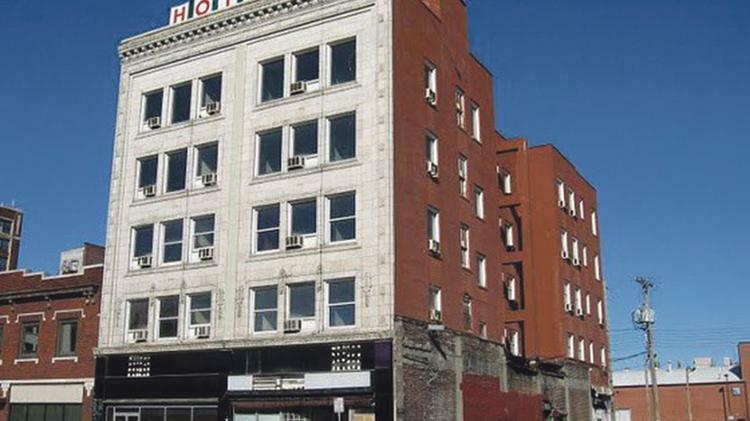 The vacant Midwest Hotel, a historic five-story structure at 1925 Main St., will be preserved as part of the project and will house most of the amenities for the new apartments, including a rooftop pool, said John McGurk, a Polsinelli PC attorney representing the developers. “Everything else is going to get torn down,” McGurk said. McGurk is scheduled to appear before the Planned Industrial Expansion Authority board on Thursday seeking approval of a funding agreement that would authorize a PIEA consultant, Scott Belke, to prepare a blight study and general development plan for the site. The funding agreement is a first step toward PIEA approval of a property tax abatement. McGurk said he is hopeful that all city approvals for the project can be obtained by the spring, allowing construction to begin in the fall of 2017. Located on the downtown streetcar line and across 20th Street from theHilton Home2Suites now under construction, the project will include one newly constructed building that will wrap around the Midwest Hotel, McGurk said. Besides the apartments, it will have about 15,000 of retail, including the restaurant on the old Hereford House site along 20th Street. The project will include new underground parking.